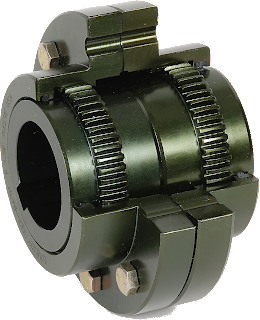 Even with lubrication, gear couplings involve tooth-to-tooth (generally metal-on-metal) contact that gradually will wear down the gear teeth. 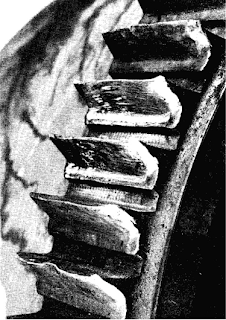 This wearing phenomenon is not unique to gear couplings... and in gearing applications such as gear boxes, who industries have been built around gear repair, rebuild, and replacement. As such, it would be natural to wonder if worn gear couplings could be repaired or rebuilt... and, if so, what exactly that looks like. To quickly cut to the chase and answer this question as briefly as possible... Yes. Gear coupling components from a given manufacturer generally have interchangeable parts that can be replaced on an as-needed basis. Seals and gaskets can be replaced. Lubrication can be changed out, and, if necessary gear coupling sleeves and hubs can be interchanged. Elaborating just a bit... it is important to note that if a gear coupling hub or sleeve is changed out (giving it new gear teeth), the corresponding hub or sleeve should also be changed out (so as not to have worn teeth engaging with new "fresh teeth"). This logic means that it is acceptable to replace on half of an "F Type" flanged style gear coupling (replacing both the hub and sleeve on one side), while leaving the other side as the original. Bonus Tip #1: Because "C Type" continuous sleeve gear couplings make use of a common sleeve that would be new to both hubs, these type couplings are generally not suited to be changed out as a "half couplings". Bonus Tip #2: If and when changing out a flanged "F Type" gear coupling half coupling (with new hub and sleeve on one side), it is critical that you ensure the bolt pattern matches up to the bolt pattern of the original manufacturer. As a standard, Lovejoy, and many other North American manufacturers adhere to a common bolt pattern standard that holds true through generally a size 9 gear coupling (AGMA 9008-B00: Flexible Couplings -- Gear Type -- Flange Dimensions, Inch Series). Final Tip: We (Lovejoy) have been selling our legendary Sier-Bath gear couplings for decades, and recently released our cutting edge HercuFlex gear coupling product line. Our engineers are world class, and we know the gear coupling marketplace and the solutions available down cold. Should you have any question or need regarding gear couplings (bolt patterns, interchanges, application recommendations, etc.)... please do not hesitate to reach out to us. We take tremendous pride in being a solutions oriented organization, and look forward to helping you and your business in the very near future. When looking to design a jet hybrid land based vehicle that could top 1,000 mph and crush record books, BLOODHOUND SSC reached out to Lovejoy distributor jbj Techniques in the United Kingdom for coupling assistance. The scope of the request was to supply a coupling with a maximum diameter of 160mm capable of transmitting 550Nm @ 10,000 rpm with as short an assembly as possible that would still be able to handle a certain amount of misalignment. 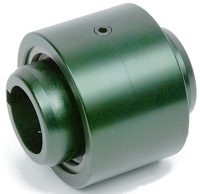 jbj Techniques proposed a Lovejoy Sier-Bath gear coupling, which offered a high torque capacity and fit perfectly within the existing adaptor arrangement. The crown tooth gear form on the coupling allows for relatively high misalignment without transferring loads between the shafts, and jbj Techniques already had the necessary blank parts in stock. As demonstrated by the close cooperation between jbj Techniques and its end user (which included further modifications including dynamic balancing), Lovejoy is blessed with a number strong distributors worldwide who are well equipped to provide invaluable product solutions support (as well as modify products in coordination and as requested by customers). To learn more about jbj Techniques, please visit their website. To learn more about The Bloodhound Project, please check out their own separate website. Question: I have several universal joints in equipment I am repairing. Do you sell just the pins? The universals are fine and are welded in place. Answers: Yes, Lovejoy does sell replacement components for our Universal Joints! The UPC numbers for replacement pins and replacement repair kits can be found on the Universal Joints Assembly Instructions sheet. To locate a local power transmission distributor that is well equipped to provide you these replacement parts, please visit Lovejoy's Find a Distributor tool (which includes a zip code search tool). The installation is of Interference Fit coupling hubs is similar to Clearance Fit hubs except that these hubs need to be heated prior to installing onto the shafts. It is important when installing a hub with an interference fit that some clearance exists over the top of the key. Otherwise, when the hub cools, the top of the hub keyway will rest on the key and produce high stresses in the keyway that could cause the coupling to fail. When installing coupling hubs, always consult with all applicable Federal, State, and local laws and regulations covering the safe operation and maintenance of equipment. This includes, without limitation, the USDOL-OSHA “Lockout/Tag-out” procedure set forth in 29 CFR 1910.147. Fast forwarding through safety, product inspection, and required tools that you would find on a given set of installation instructions... prior to installing any interference fit hubs, it is important to make sure that anything that needs to be put on the shafts prior to hub installation are put on... and put on correctly! 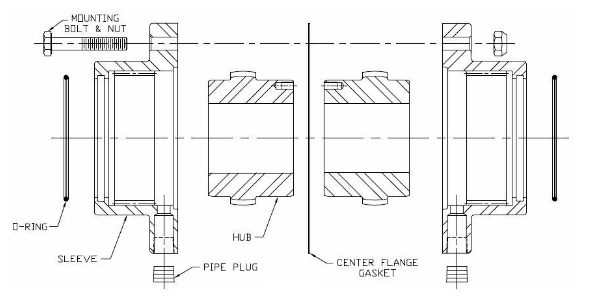 In the case of gear couplings, this means the coupling sleeve (singular if continuous) or sleeves (two if flanged style) prior to hub installation. The exact text from Lovejoy's F type installation instructions reads as follows: The sleeve will need to be slid onto the shaft with the O-ring installed prior to installing the hub allowing adequate room to mount the hub. Care should be taken to support the sleeve and prevent accidental damage if the sleeve were to slip while placing it on the shaft. Once the sleeve is on the shaft, allow room to install the hub. The sleeve will need to be supported to prevent damaging the seal. 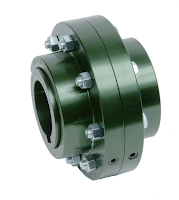 The flange face should be oriented toward the end of the shaft. Exact text for the F type: Orient the hub with the long end of the hub facing the end of the shaft. Align the keyway(s) and key in the shaft, then slide the hub onto the shaft. The key(s) should be flush with the end of the shaft and face of the hub. Hubs should be heated using a uniform heat source, and use extreme caution when handling hot hubs to avoid personal injury. Oven Heating offers some advantages over oil bath heating. Parts can be heated to higher temperatures, usually not to exceed 600º F (315º C). This is roughly the maximum temperature where the metal does not go through an annealing process and yet can still be handled with heat resistant gloves. When heating the hubs in an oven, place them on a rack and do not rest the hubs on the oven surface. Induction Heating can be used as long as the temperature rise in the hub is uniform and controlled. Mounting instructions may vary by vendor and product type, but to cite Lovejoy's F gear coupling instructions exactly: Mount the hubs on the proper shafts and ensure the face of the hub is even with the end of the shaft. 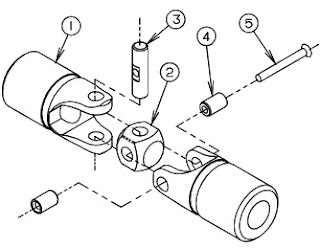 The hub should be oriented with the long end of the hub facing the end of the shaft unless this is a “Slide – FSL” style coupling (Contact Lovejoy Technical Support with questions). The key should be lined up with the end of the shaft and face of the hub. Once mounted on the shaft, allow the hubs to cool completely before continuing. 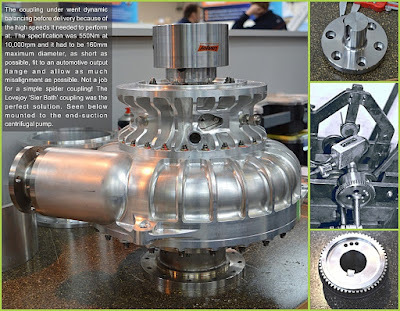 After interference fit hubs have been properly heated, mounted, and cooled, the coupling still needs to be assembled and aligned, which would be very similar to what you would do with a Clearance Fit coupling. For more information on the pros and cons of interference fit couplings, please consider reading this article, and if you would like to learn more about the actual standards behind interference coupling fits, please check out this article. 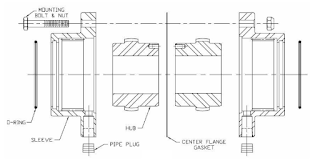 While misalignment handling is a primary reason to use flexible couplings, and a specific coupling design's ability to handle misalignment is often a selling point... it is still a mistake not to try to minimize misalignment within a given power transmission system. The more aligned a system is, not only will the coupling generally last much longer, but, often, other components (i.e. - bearings) in the system will also see less stress and last longer as well. So while leading coupling manufacturers, such as Lovejoy will be happy to design and supply specialty high angular misalignment gear couplings for applications that absolutely require them... we will generally ask the question: "Can the system be aligned to remain within Lovejoy's catalog rated misalignment limits?" It's not that Lovejoy doesn't want to sell you a high-priced high-misalignment custom solution (which inevitably will cost more), but rather we want to ensure you have the right solution for your given application (even if it may mean a lower cost sale for us). To review the standard Lovejoy Sier-Bath catalog, please click here. Alternatively, you can learn about the new Lovejoy HercuFlex line (which is still not "high misalignment" but does offer improvements in its continuous sleeve design) here... or reach out to a Lovejoy application specialist here.